GGPO’s claims for lag-less game play are not that far fetched as I’ve played a countless amount of matches on their application and found them to play pretty smooth. This especially seems to ring true when you get into matches that go into a higher ping connection between you and the player. The roll back technology used in GGPO’s netcode has been requested by many within the fighting game community and it has ultimately landed on a few of the newer fighting game titles since its original inception. 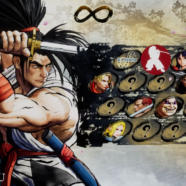 The GGPO application offers a wide variety of fighting games that are built on the Final Burn Alpha Emulator and will connect you to other players from around the world. *GGPO has been down for some time now and may never come back. Because of this, we recommend you use FightCade as it is built on GGPO. Recommendation: Download Winrar to unpack the program.